Delta Zeta’s collegiate chapter officers participate in a variety of chapter officer training opportunities tailored to assist them achieve their goals while in office. Our College Chapter Directors (CCDs) and the chapter advisors provide in-person support and training for all officers. When you are elected as an officer for your chapter, Delta Zeta provides the training and tools to not only succeed, but to become a leader. As an alumna, you will take what you have learned into both your professional and personal life. Collegiate leaders come together to discover new and exciting ideas about leadership. 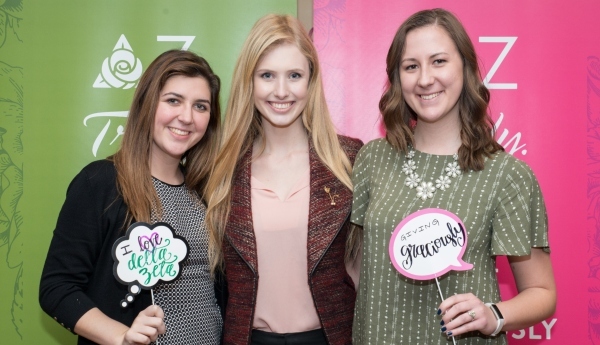 Presidents learn how to inspire chapter members to commit to and pursue goals that will result in individual and collective success, and how to use Delta Zeta’s timeless values as their guide. Delta Zeta offers collegiate chapter presidents a unique leadership opportunity with the Presidents Academy. The Presidents Academy is typically held in February. 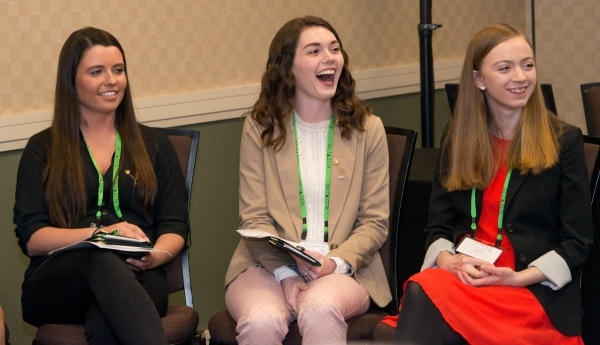 Delta Zeta volunteers and Friends of Delta Zeta serve as facilitators for the Academy and lead small groups which foster discussion among participants about their leadership experiences as collegiate chapter presidents. 2019 Presidents Academy information is available on the DZ Member Page App here.